India Inc on Thursday rallied behind the Army’s move to conduct surgical strikes on terror launch pads across the Line of Control and said it was the time to act tough while ruling out any negative impact on the country's economy and trade. “Our civil n (sic) decent response in the past hasn't been met with reciprocity so it's time to act tough,” Biocon CMD Kiran Mazumdar-Shaw tweeted. PHD Chamber of Commerce and Industry President Mahesh Gupta said there will be no impact on India's trade and economy, adding that the volatility in the financial markets will also be short-lived. India’s exports to the neighbouring country worked out to USD 2.17 billion, or 0.83 per cent, of the total Indian outward shipments while imports were less than USD 500 million, or 0.13 per cent, of the total inward shipments. “The Indian economy has a strong bandwidth to deal with any possible after effects of the current state of tensions with Pakistan,” Assocham Secretary General D S Rawat said. The chamber said that while the reaction in the stock market to the news of India’s surgical strikes was understandable, there is no cause of concern for the country’s economy which has the capabilities to withstand any extra costs to be borne for the sake of our national security. Industry bodies Ficci and CII declined to comment. Exporters’ body FIEO Director General & CEO Ajay Sahai too ruled out any negative impact on India’s trade with other countries. However, asked about the implications on India-Pakistan bilateral trade, Sahai said India’s move to review the most favoured nation status accorded to its neighbour has raised some uncertainty for exporters on whether trade will normalise in the future. Reacting to the reports of surgical strikes, the Sensex plummeted 465.28 points to end at 27,827.53; whereas the Nifty nosedived 153.90 points to 8,591.25. 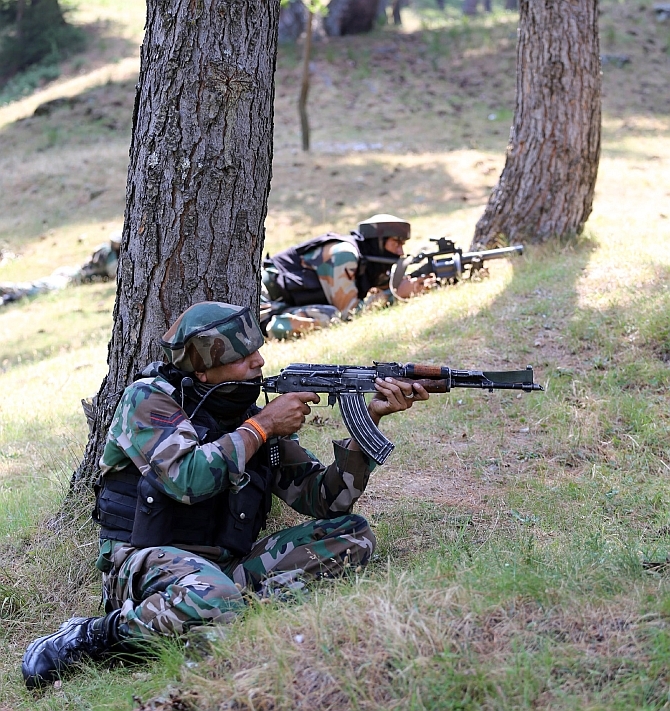 India carried out “surgical strikes” on terror launch pads across the Line of Control (LoC) in Jammu and Kashmir last night, inflicting “significant casualties” on terrorists and those who are trying to support them.